From troubleshooting application errors and managing your company's network to handling remote users and securing your data, IT sup- port professionals face a wide variety of challenges. 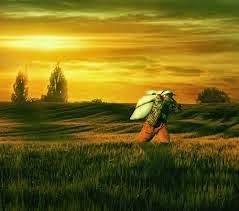 And successfully meeting those challenges requires both a depth and breadth of IT knowledge. 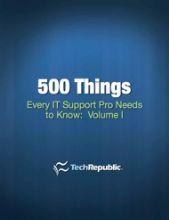 TechRepublic's 500 Things Every IT Support Pro Needs to Know: Volume 1 breaks down some of the most important things support professionals need to know into easily digestible lists. Built with content from our popular 10 Things and Five Tips blogs, it covers these areas: Networking Servers Desktops Support Data Management IT Consulting Career Linux Security Development Both IT novices and seasoned pros will benefit from the concise but comprehensive tidbits found in 500 Things Every IT Support Pro Needs to Know: Volume 1.